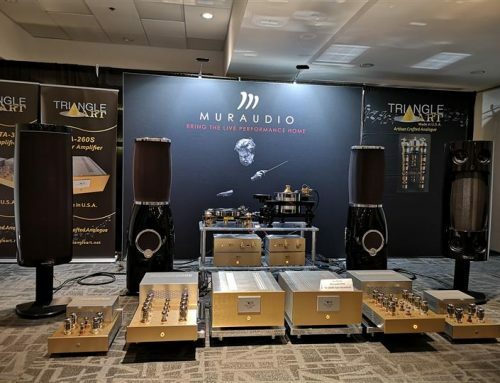 There was something for everyone at TAVES 2013 – whether you wanted to to see the new 4K Ultra HD TVs or you were looking to buy your kid a kit amplifier. Here are some of the interesting audio exhibitors that I came across. To read about the TV and home theatre demonstrations at TAVES 2013, please check out George de Sa’s TAVES 2013 article by clicking here. Some were purely informational – others were trying to sell you something. You can tell which is which from the title and from the name of the sponsor. The seminar list expands every year and kudos to the TAVES team for such an impressive lineup. Keep it up. The ones I attended are in bold. 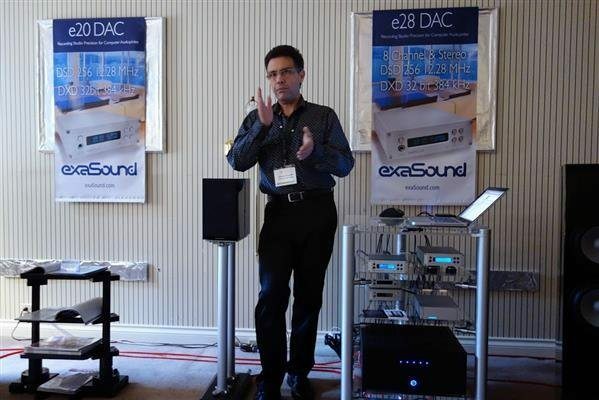 Here’s a picture from the DSD DAC seminar presented by George Klissarov of exaSound. George explained how exaSound came up with the world’s first DSD 256/12.28 MHz DAC and the world’s first Multichannel DSD DAC, although I think EMM Labs might also have a claim to that title with their professional DAC8 design. Very interesting products in any event. 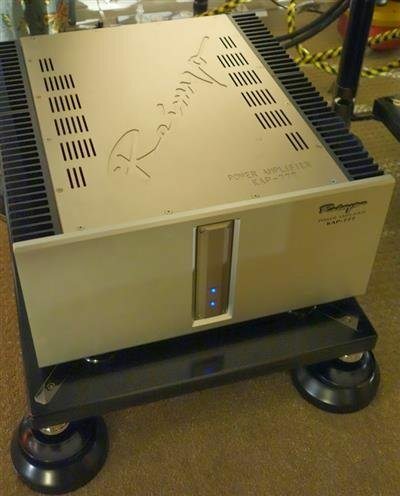 I’m used to sloping front panels on the Reference 3A speakers I’ve spent time with (Grand Veena, Episode, MM De Capo), so the rather more boxy Nefes BE ($9450) took me by surprise. Tosh Goka showed me his new design of the full bandwidth speaker. 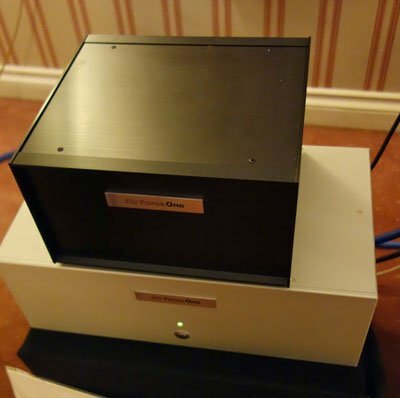 As usual the main drivers are connected directly to the amplifier, with a very simple high pass filter only for the new beryllium dome tweeter. The two main 8” drivers are similar to those used in the MM de Capo and the Episode, but have been adjusted to match the new application. 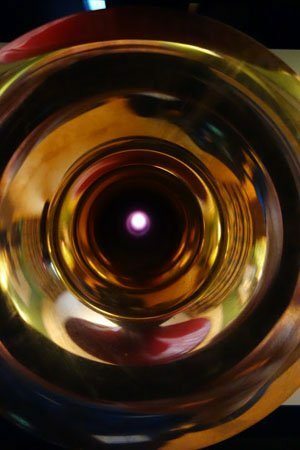 In common with some other Reference 3A models, Surreal Acoustic Lenses are used to diffuse driver cone turbulence while Magnetic Wave guides purify the incoming signal. These are big speakers, 120 lbs each and 52” in height. At the rear is a large diameter flared port. Cabinet walls are of different thickness all around to minimize resonance. The tweeter is recessed for time alignment with a cabinet profile engineered to avoid both the horn effect and side reflections. 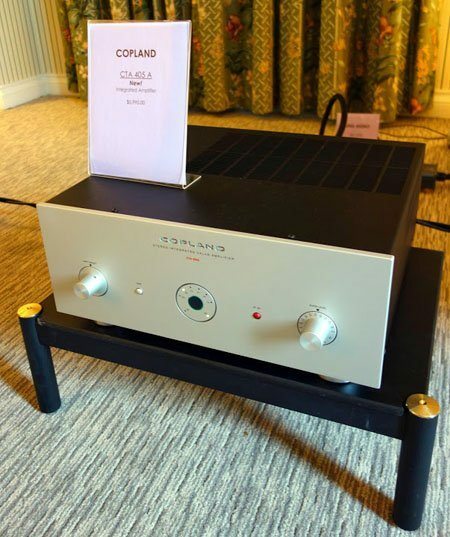 Copland has a brand new 50wpc integrated stereo power amp, the CTA 405A ($5990) using the same KT120 power output tubes they pioneered in the 90wpc stereo power amp CTA 506 ($6500). Compared to its KT88 based predecessor, the CTA 405, the new integrated amp offers the same power but twice the current drive. 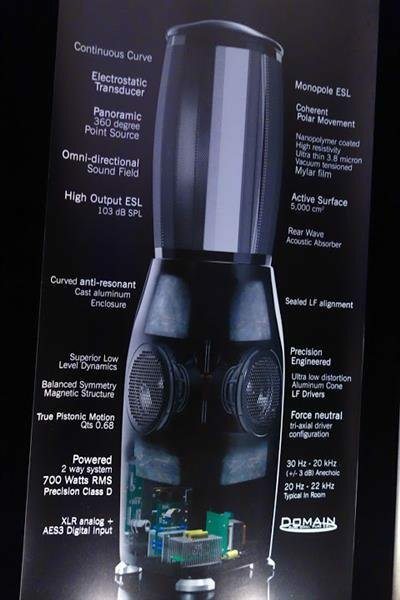 It will be able to control a much wider range of speakers. 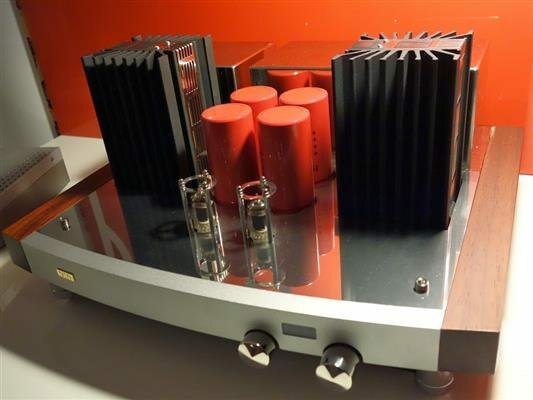 Copland can upgrade the CTA 405 integrated amp to the new specifications. 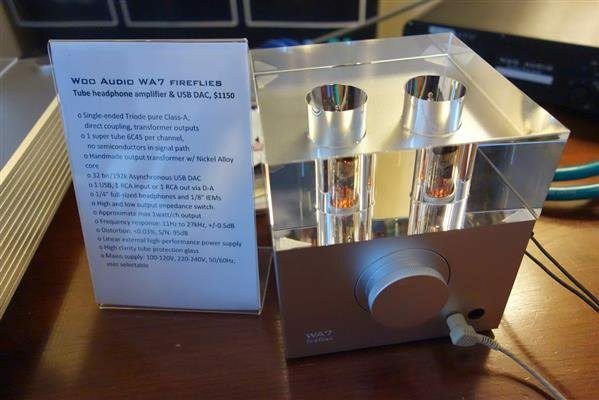 This amp looks gorgeous and since it is closely related to the CTA 506 which I have reviewed, I’m pretty sure it’s going to be a winner. 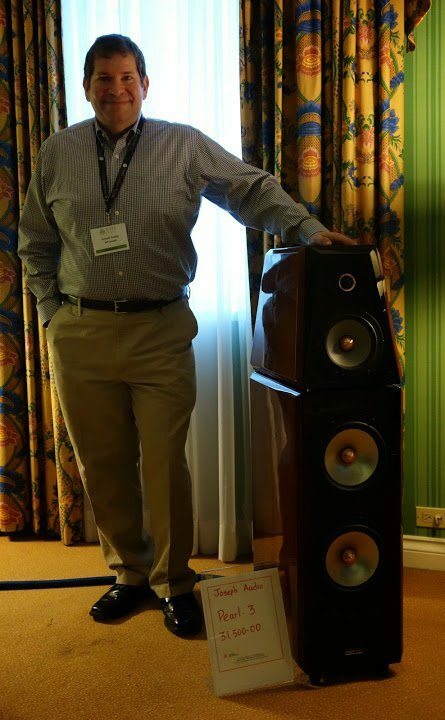 Brian Herchenrader is quite a big guy (6’2”), so that will give you an idea of the size of this Legacy Audio Aeris speaker. It’s a 4.5 way design using the Legacy Dual Air Motion tweeter system (1” AMT super tweeter plus 4” AMT tweeter), an open air dipole midrange, dual active subwoofers driven by a 1000 watt ICE amp with room correction. Through windows at the side and rear, you can see all the amplification and crossover electronics inside the cabinet, which just adds to the fun. The midrange is an 8” titanium encrusted design with an enormous Italian motor structure. There is a 10″ bass driver in addition to the two active subwoofers, so you can take it for granted this speaker has simply prodigious output capabilities. 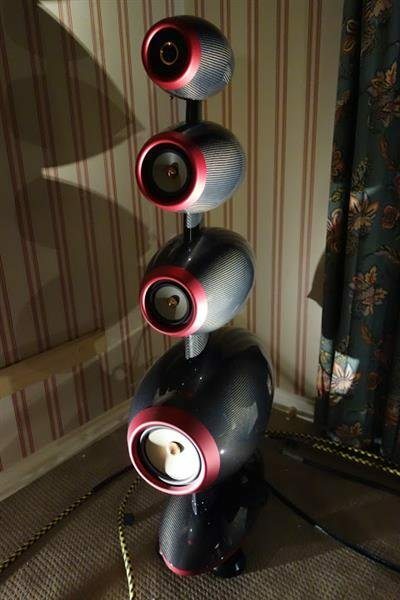 Each speaker weights 171 lbs and stands 58 inches above the 1” base. The Aeris starts at $17750, and the Black Pearl finish model on show runs $18850. I caught Vince Scalzitti in the middle of his lunch (a quick sandwich). He is very excited about the new Zesto BIA 120 amplifier ($12000), made in California. 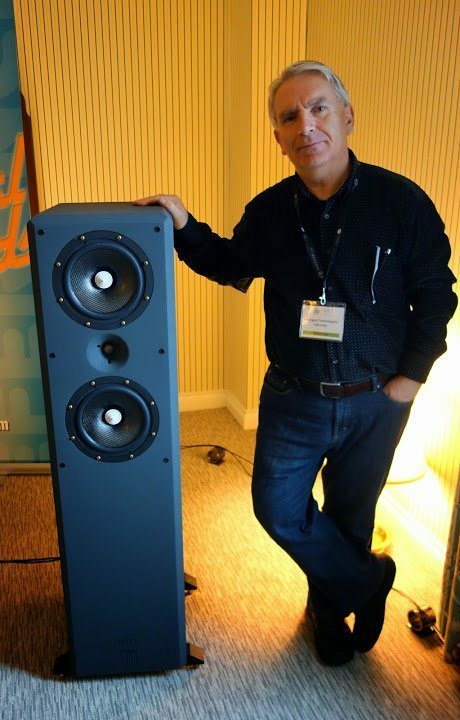 Zesto’s president and chief designer George Counnas was on hand to introduce the new amp. It’s a 60wpc Pure Class A, push pull Ultralinear design with Auto-Bias. 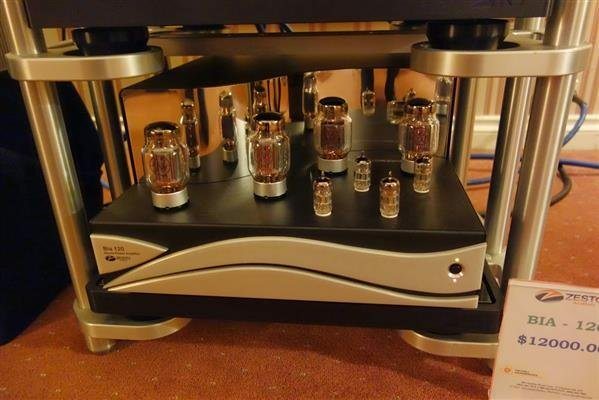 It uses KT88 tubes, but is also compatible with the new KT120 high output tube. There is no negative feedback. 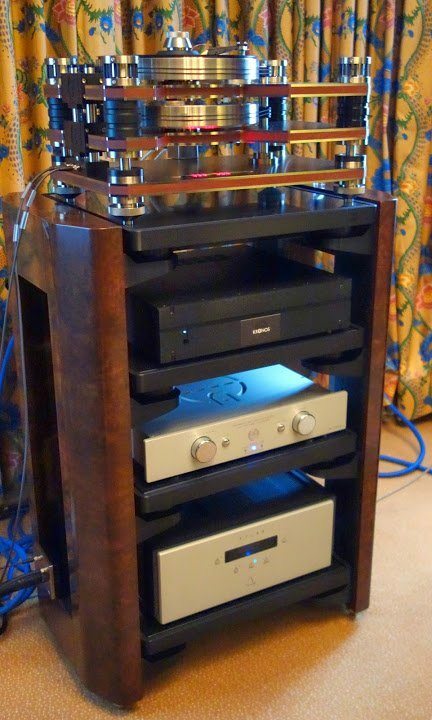 Here’s a stack of 3 Zesto components (Andros PS1 Phonostage ($4300), Leto Preamplifier ($7500), BIA 120), showing off their sensual design and high levels of fit and finish, topped by the Air Force One turntable. 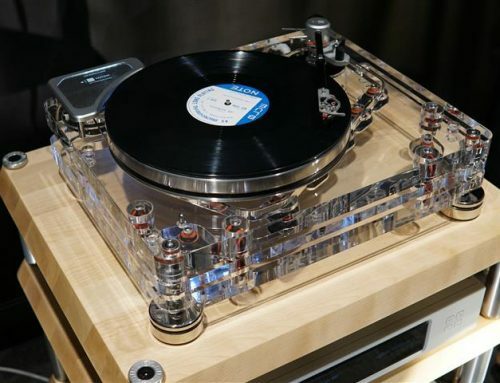 The Japanese TechDAS Air Force One turntable ($83000 with Graham Phantom Elite arm) sports two outboard boxes to power the air suspension and air bearings supporting the 30kg platter and to generate a vacuum to pull down the LP onto the platter. Joseph Audio Pulsar speakers on the end of this stack sounded great with a vintage Cat Stevens pressing. 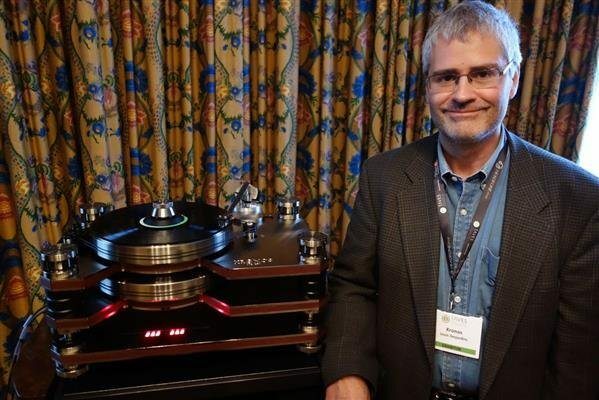 Louis Desjardins was on hand to demonstrate his high end KRONOS turntable with counter rotating platters. 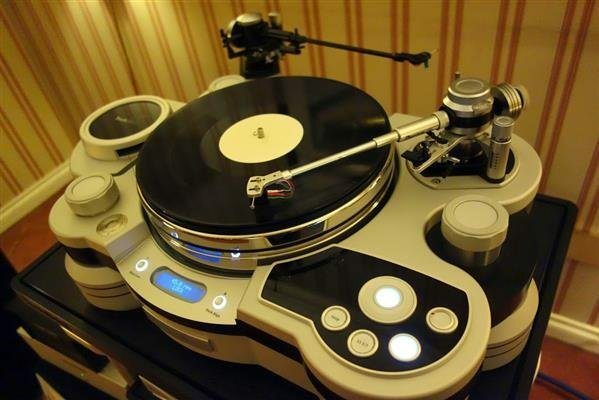 $32,000 for the turntable and $8500 for the arm. Louis builds the Kronos near the Atwater Market in Montreal. 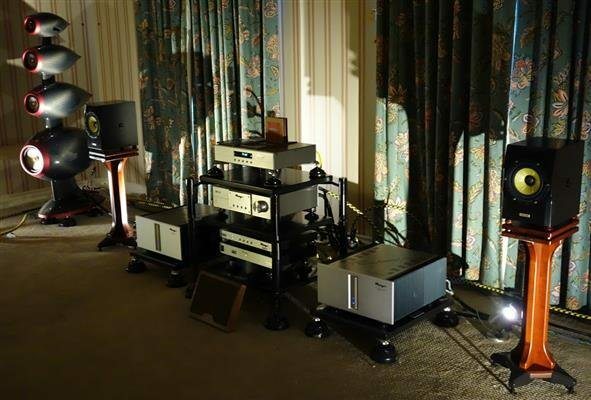 You have to admire the spectacular looking Acapella speaker with its glowing ION tweeter in this room, making lovely sounds with the Aesthetix Atlas Power amp and the Accustic Arts Preamp. For my ears, the best sounding Tri-cell room featured the Joseph Audio Pearl 3 ($31500) with the proud father Jeff Joseph standing by. This new version introduces a new optimization of the Joseph Infinite Slope Filter. Jeff was able to reconcile two aspects of sound that are usually at odds with one another – the sense of clarity, presence, detail and snap together with warmth, body and richness. Only the crossovers have changed, and older models can be upgraded to the Mk 3 level, the cost being dependent on the age of the speakers. The Pearl 3 is available in a wide range of finishes including a new Pure White. 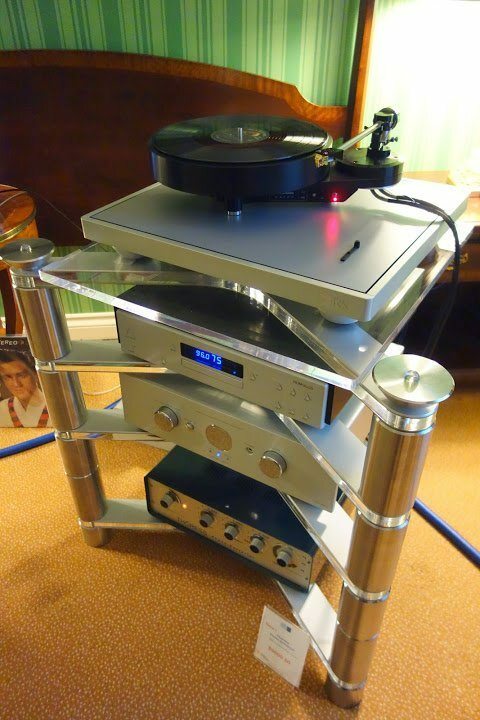 The Brinkmann Bardo direct drive turntable with their own tonearm and a Benz Glider cartridge sits atop an Aesthetix Romulus CD Player, the new Thoress Phono Enhancer ($9000) which supports a huge range of phono equalization curves, and an Acoustic Arts 135wpc integrated amp. Cabling is Cardas Clear beyond. Jeff also uses Cardas wire inside his speakers. Part of the reason for the fine sound may be attributed to the excellent vintage Elvis recording just visible to the left of the amplifier. The best feature of the sound was being able to enjoy fine sound in almost any position in the room, a refreshing change. Vince has just taken on distribution for the excellent range of headphone amps and other related products from New York’s Woo Audio. Take a look at the new WA7 Fireflies . 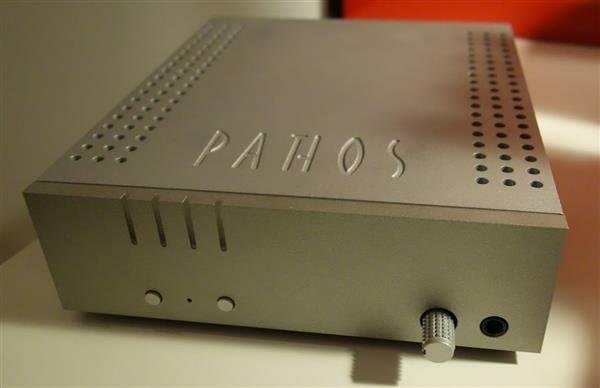 It’s a tube headphone amp with USB DAC, all for around $1150. There’s a lot of competition in this exploding field, but clearly this is something special, and I’d like to get my hands on it for review. Jack Woo was on hand to demo this (yes I brought my own phones) and the cute WTP-1 CD Transport / WDS-1 DAC combo ($1380 each) which can also be stacked. NAIM has updated three integrated amps for this year’s show. The 60wpc NAIT 5si ($1795) features an improved power supply, a passive preamp section and a new headphone output. Expect a significant boost in performance over earlier models. The 70wpc NAIT XS2 ($3195) has an active preamp section which means you can update it with a FlatCap, HiCap or SuperCap power supply. It borrows its Class A headphone output from the SUPERNAIT 2. Then we move up the line to the new 80wpc SUPERNAIT 2 ($5895) NAIM has removed the DAC and upgraded the power supply with NAIM DR (discrete regulator) technology to comply with new European standards and lower noise. 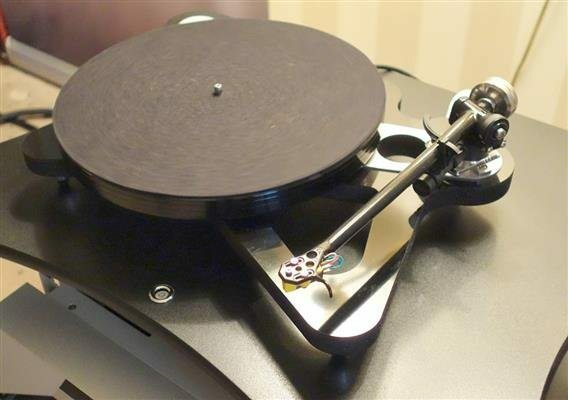 Devialet amps have made a very big impression in previous shows, as much for their physical design as their advanced digital electronics, but have not had much impact on the market due to their high prices. Now with two less powerful (and less expensive) models available, all this may change. 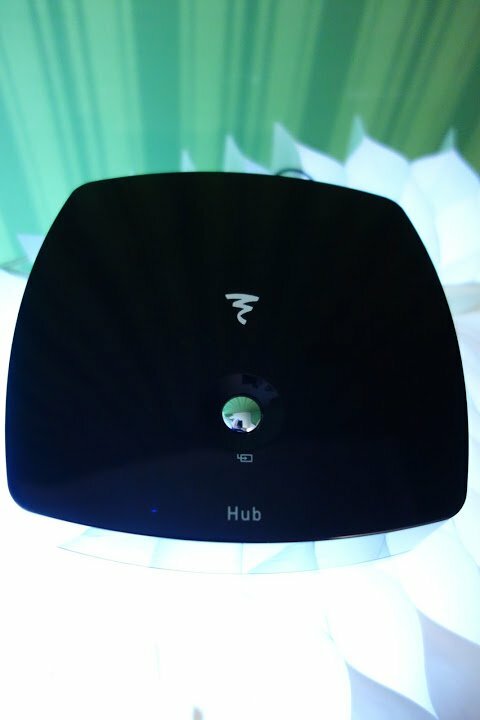 At the top of the range is still the 240 model (240wpc) at $17495, with the 170 (170wpc) at $9495 and 110 (110wpc) at $6495 offering most of the features of the top model including streaming, 2 optical and 2 coax inputs, RS232 in/out, Trigger in/out and the remarkable Devialet RF remote control. To achieve the very best performance you can use a combination of two 240s as monoblocs – 500wpc and $35000. All the 170 lacks is the ability to daisy chain up to 8 units together, while the entry level 110 also forgoes the line and advanced phono stage (MM input is available), a balanced input , digital out and subwoofer out. The Devialet 170 made very enjoyable, relaxed sounds through the well priced new Focal Aria 926 speakers ($2995). 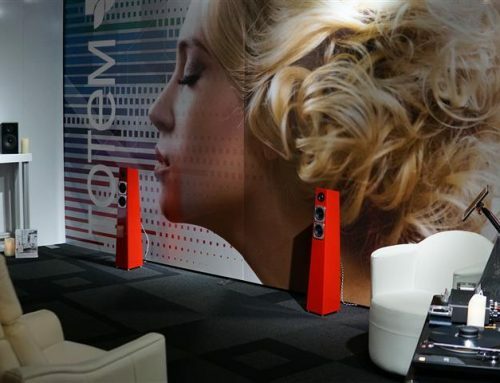 Attendees could examine the construction of the unit’s Flax woofer cones which incorporate Focal’s “F” sandwich technology, which involves a 0.4mm layer of well damped linen fibres between two 0.04mm layers of glass fibre as well as the well known concave tweeter. Linen is both very rigid and very light, since the fibres are hollow. Focal is one of the few manufacturers who make everything in-house, including their own drivers. The same driver types can be seen in the 2-way bookshelf Aria 906 ($1500). Other models in the all new Aria 900 range include the bigger 936 ($4200) and the 948 with two 8” woofers ($5200), a centre channel and an upcoming subwoofer. Focal also introduced the new EASYA wireless speaker system ($2799). Each tower speaker has a 1” tweeter, two 5¼” woofers and an 85 watt amplifier while the Kleer (full CD bandwidth) based transmitter Hub has apt Bluetooth wireless streaming and multiple inputs: USB, Toslink, coax digital, 3.5mm analog and RCA analog. They sounded pretty good to me for wireless speakers. They are available in black and white. 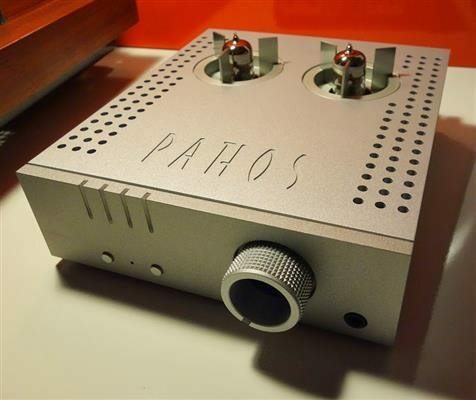 the Pathos Converto DAC, and the Pathos Aurium tubed headphone amp. The Pathos designers should take a sabbatical so other designers have a chance to catch up! 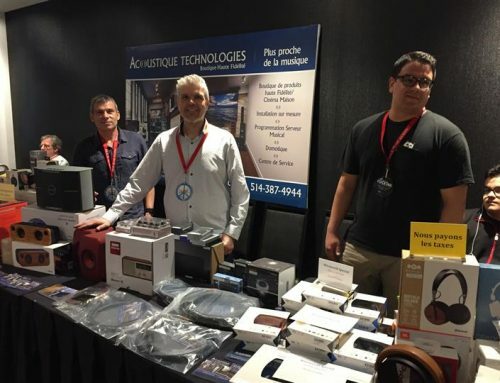 It was a pleasure to meet Wynn Wong from Wynn Audio, a distributor that brought an interesting mix of high end components to the Canadian market. One name I know well is Japan’s Combak / Reimyo / Harmonix. This picture gives you a sample of what Wynn brings to the table. 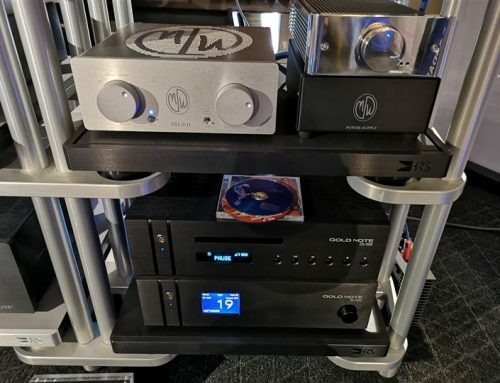 In the centre stack you will find a Reimyo CDT-777 CD Player ($12500), Reimyo CAT-777 MK II Vacuum Tube Control Amplifier, the new upsampling Reimyo DAP-999EX DAC ($12000) and Reimyo ALS-777 Power Stabilizer. 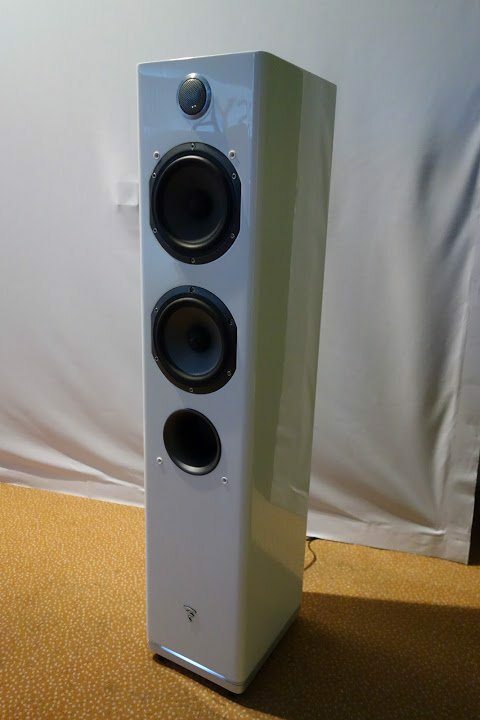 The Combak Bravo SE bookshelf speaker ($8500), shown here on a Dinosaur stand, is a dual concentric design capable of the highest possible level of imaging. Reimyo’s KAP-777 puts out 200wpc and weighs a cool 33kg. I guess there was some biamping involved here because I count two of them. All cabling is from Harmonix, including their new sweeter, warmer and more dynamic power cord, which runs around $1500 for a 1.5 metre length. If you have to ask the price of this system, you can’t afford it. 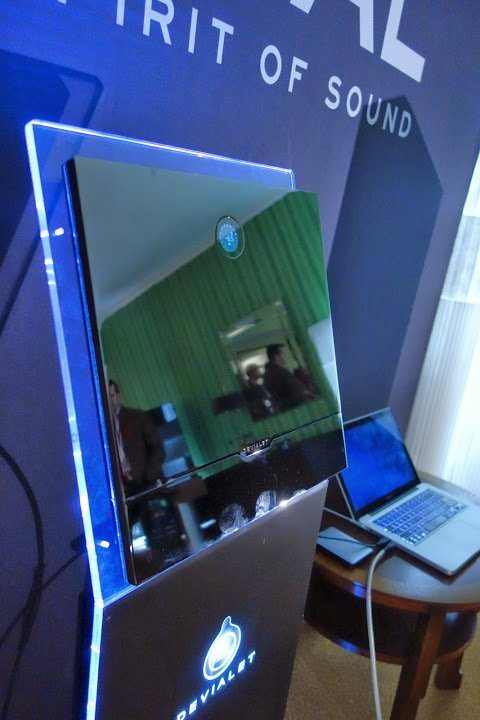 Even more esoteric is this SW 4 driver carbon fibre speaker showed inside this room from Sweden ($85000). Wow! I’m always happy to greet a new Canadian manufacturer, particularly one as ambitious and innovative as this. Many people know that you can’t beat the purity of an electrostatic speaker, such as a Quad or Martin Logan. But there are two things holding them back. One is the bass response. To get a true full range electrostatic speaker you need very large panels indeed, so most manufacturers must try to pair dynamic woofers with electrostatic panels for the upper octaves. It’s very hard to find dynamic drivers that can keep up with the speed of an electrostatic panel. The second, even more severe problem is the narrow dispersion pattern of an electrostatic panel. 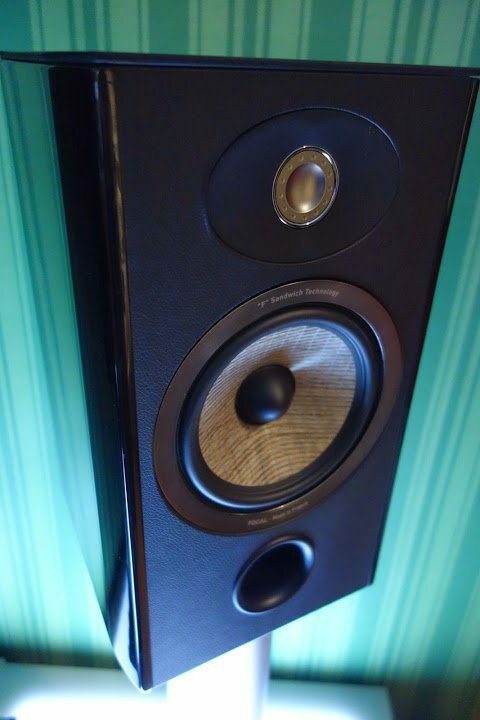 Sure you can curve the panel to some extent, but until now, pretty much all electrostatic speakers have been very directional with a relatively narrow sweet spot. Until now! 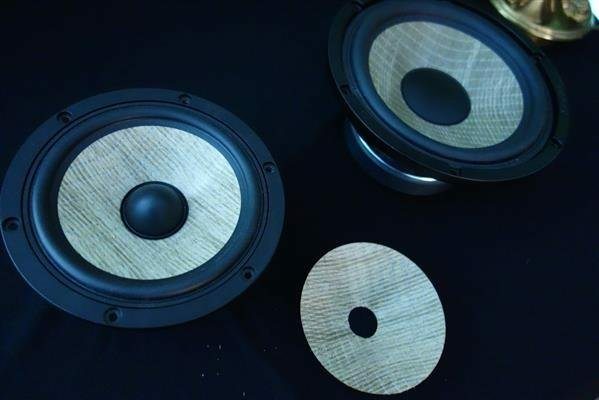 Ottawa’s Muraudio is introducing an electrostatic speaker with a 360 degree dispersion pattern called the Domain, the world’s first omni-directional electrostatic speaker. It has been in development for about 12 years. 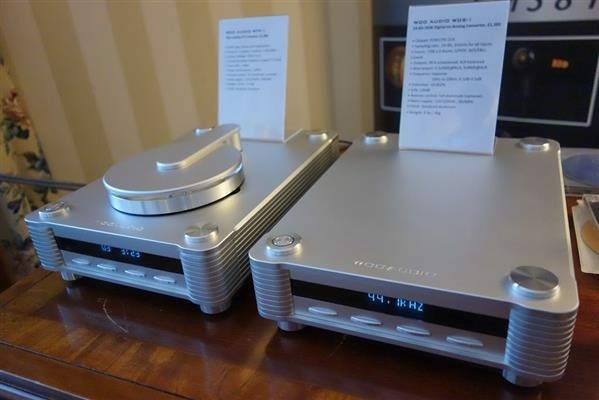 From my brief listening experience, I would say they have nailed it, albeit at a very high price ($48000). 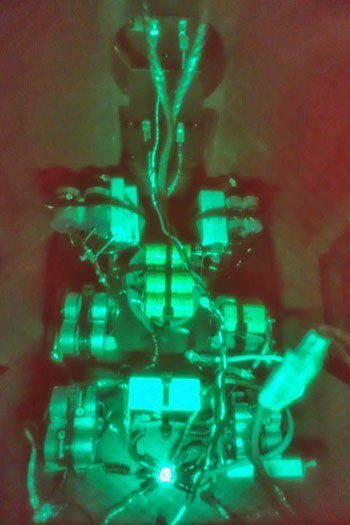 In this picture you can only see one side of the speaker, but imagine that it has three sides to its dynamic aluminum woofer base and an almost continuously circular upper electrostatic panel array. The 3 in-house designed bass drivers are mounted in a triangular pattern so their vibrations cancel each other out, and carry 10kg of magnetic structure to drive their aluminum cones. The panels are curved in two directions, unlike conventional or curvilinear panels. They call this a Panoramic Point Source and you can see it better in the poster here. There are 55,000 holes in the panels and part of their success is in the high level of finishing to each hole which allows them to use at least double than normal panel voltage, which means significantly higher power handling. Both drivers are powered by internal active Hypex amplification modules (Class D) crossed over at 450 Hz. A variety of custom finishes are available including Ferrari Red and Piano Black. 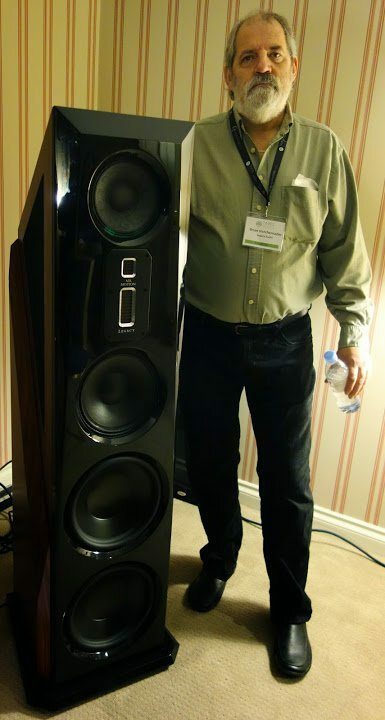 Height is 57” and each speaker weighs 64 kg. How well they have matched the dynamic drivers to the electrostatic panels will require extensive listening. I’m looking forward to that, given the chance. 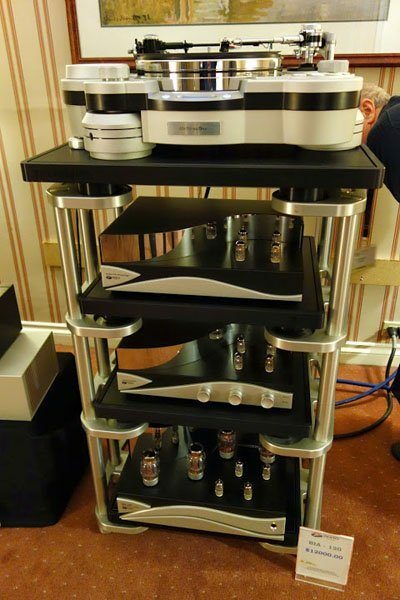 To read TAVES 2013 Report by Phil Gold (Part 2) – please click here.